ToughBuilt 3pc Handyman’s Set brings a new level of organisation and efficiency to the handyman. The Cliptech innovation gives you the revolutionary option of effortlessly adjusting and interchanging pouches to fit specific jobs, and quickly taking off unneeded tools and supplies for less weight and fatigue. 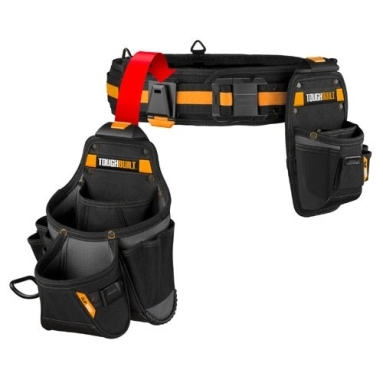 The tool belt is made with heavy-duty rivet reinforcement and abrasion-resistant rubber bottom. This dependable tool belt withstands the harshest working conditions.